Update 8/19/2015: This car is back on the market after having some work done. The body is better than it probably bought to be considering the snowy woodpile it spent several years associating with. What is a restored LWB Normal of this vintage worth these days? $50K? $60K? $20K? 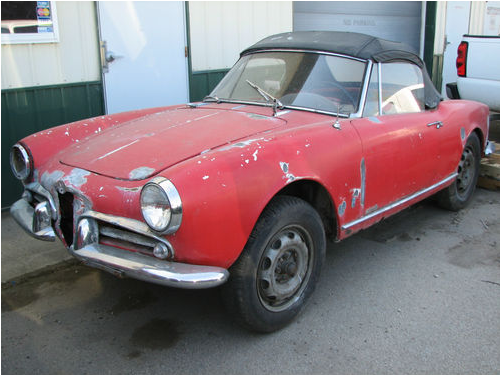 I don’t really know -haven’t been paying enough attention, but this doesn’t seem like a bad deal at $12,500, but you probably need to be near by and fancy a challenging project. Perhaps a garage endeavor to work on in your retirement? Be aware, last I checked, there were not too many places willing to take on metal replacement. 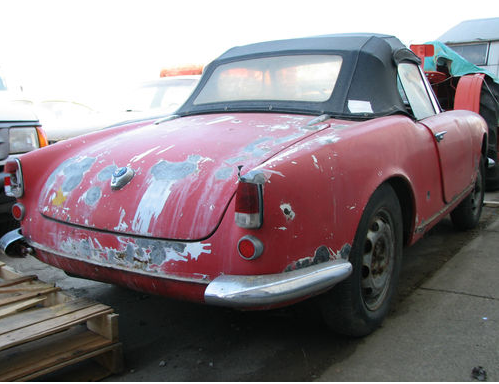 Update 7/1/12: This car sold for $10,201. The saga continues! 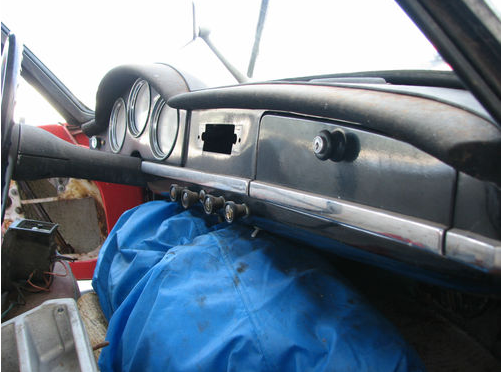 Giulietta Spider 10103 1495*09100. 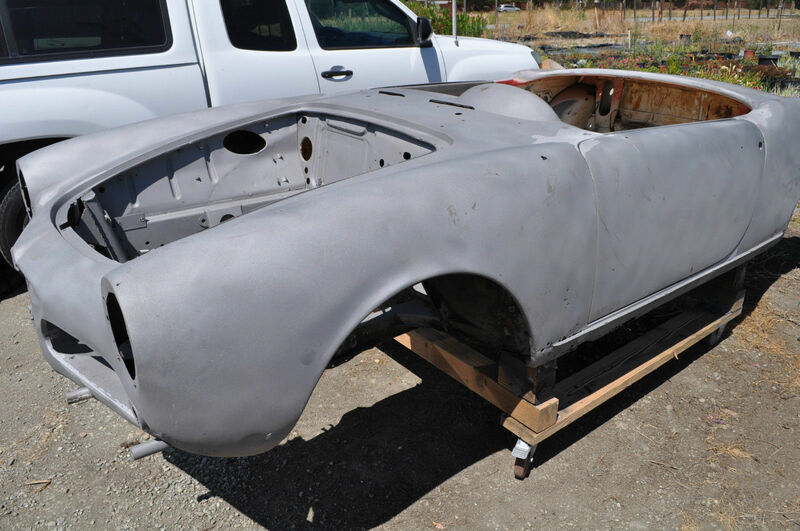 Projects are in fashion, and this rough around the edges interim car is riding the wave on eBay right now. It’s not too bad, not too good, just your usual needs everything project. If you jump now it could be yours -current bidding is a paltry $7350. Summer is upon us! Busted in the nose, but trim unharmed, with lots of weird corrosion. Looks neither good nor bad -just a but rough. There’s a bit of corrosion in the rocker visible here. My favorite tail light style stuck on the back of a corroded Spider. Trunk fit is decent. Originally gray, probably not originally supplied with a blue tarp. Doesn’t really look too bad other than the mismatch with the spotty exterior. A good sign that the seat tracks are in situ. So this car comes with two engines and gear boxes, is not too bad in the rust belt, and doesn’t look to have suffer too heavily from side-yard neglect. What’s it worth? 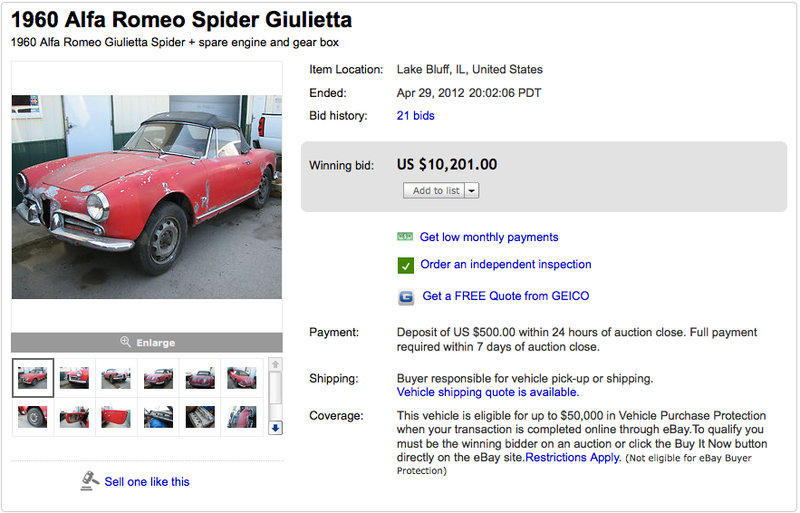 I’d pay $10K if I could but I just bought a new project that will blow minds here on the giuliettas.com. Care to guess? 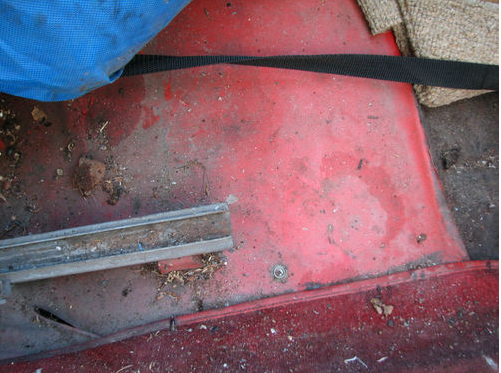 Hint: 60’s Japanese truck… rare 60’s Japanese truck! This entry was posted in 101's, 2012 markets, Giulietta & Giulia Market, Spider Normale's and tagged Alfa Romeo, Classic cars, spider by Hamilton. Bookmark the permalink. so glad to see you posting again! !